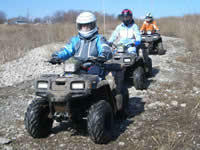 Two state agencies are asking motorists to be aware of more ATV-UTV's on the roadways this summer. The state's top recreational safety person says being smart with an ATV or UTV this deer hunting season is essential. 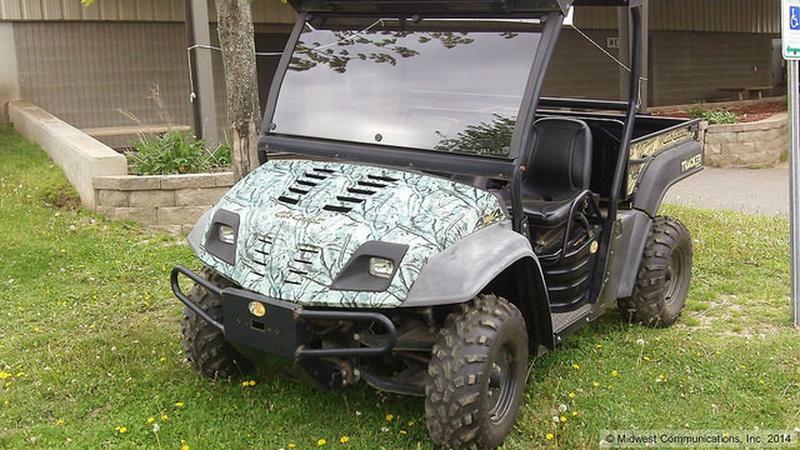 The vehicles have proven to be an increasingly popular with hunters. "....their going to come across obstacles like stumps or steep terrain and loose gravel or leaves that they're not expecting. Safety is of utmost importance...."
The Oneida County Board has spelled out what county roads and a bridge where ATV/UTV use will be allowed. 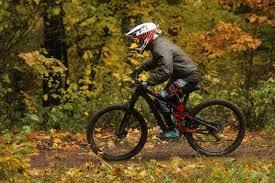 Conover hasn’t yet decided whether to change course on its plan for a federally-funded bike and snowmobile trial. The Conover Town Center was packed and tempers flared last night during a special town board meeting called to discuss allowing ATVs on part of the trail route. 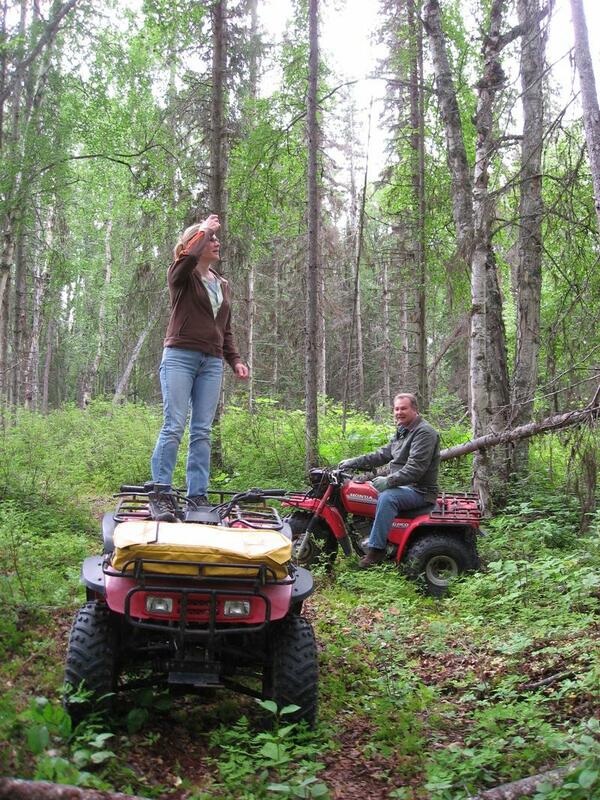 An ATV trail in Conover would connect trails between Eagle River and Phelps. But silent sport enthusiasts were concerned that motorizing the trail would be a danger to bikers, pedestrians, and equestrians alike. 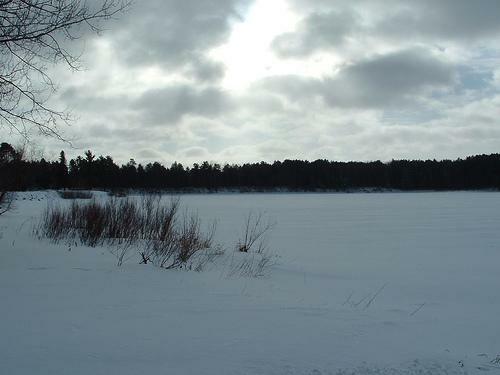 The public will have a few more chances to give input before ATVs are allowed on the Woodboro Lakes Wildlife Area near Rhinelander. The state Natural Resources Board has postponed a decision on ATV access for a specific trail, opting instead to first develop a master plan for the property. DNR property planner Tom Watkins says that will allow managers to take a broader look at how the property should be used long term. 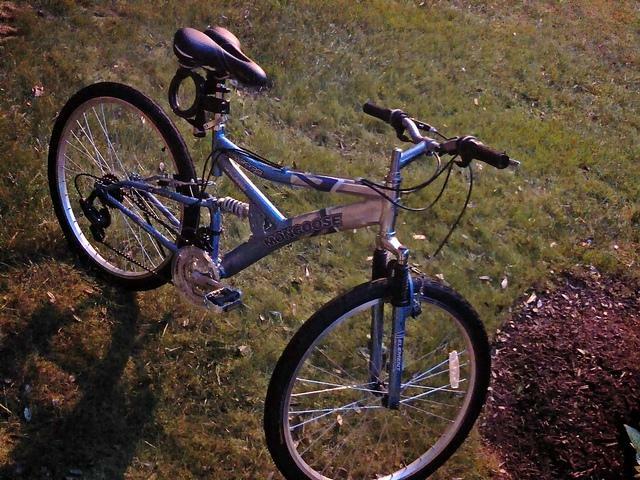 The town of Conover may reconsider its plans to build the first leg of a bike trail connecting Conover with Phelps. 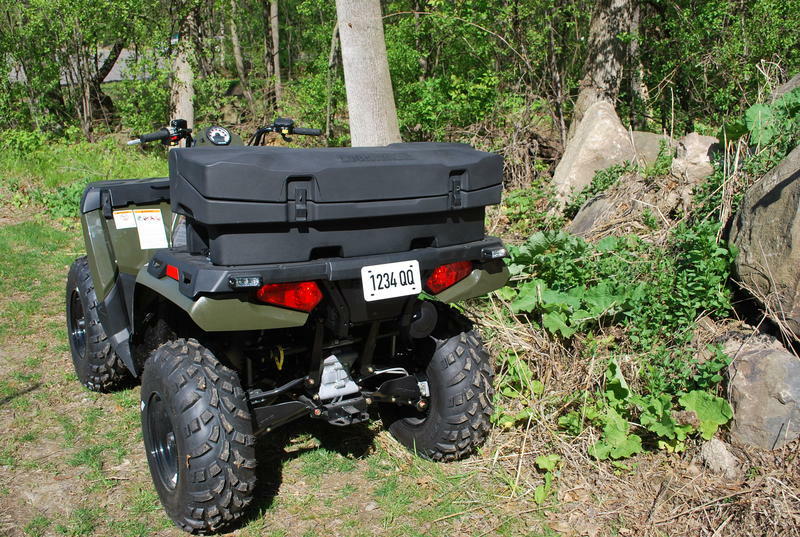 The move comes alongside Vilas County’s push to explore more ATV route options. Conover town board members are scheduled to discuss Wednesday whether to back out of an 850-thousand dollar bike path and snowmobile route. Funding has already been lined up from the Department of Transportation and local snowmobile clubs. 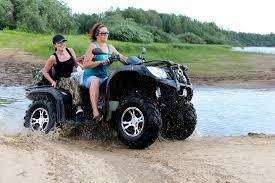 Eagle River is looking into a plan to allow ATVs on some downtown streets. Eagle River Mayor Jeff Hyslop says a committee is figuring out a proposal that would detail specific routes. 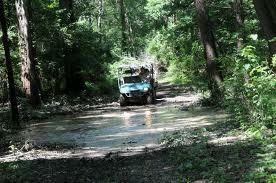 The town of Lincoln is also looking into allowing ATVs on town roads. A UTV accident in the town of Little Rice has left a Rhinelander man dead. 52-year-old Richard T. Johnson was killed when his UTV apparently left the roadway when going around a curve on Gobbler Lake Road, northwest of Tomahawk. According to the Oneida County Sheriff’s Office, the accident happened on Saturday night at about 10:40 pm. A woman passenger was also injured and was transported to a Wausau hospital. 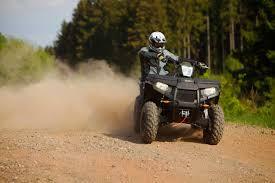 Vilas County is likely to see ATVs on some stretches of county property. The Vilas county board voted 14-5 last night to approve an ordinance which will allow the town of Phelps to use a section of County Highway A to extend town ATV trails. The decision effectively overturns a 2004 referendum vote in which a majority wanted no county ATV trails, as well as a subsequent county board resolution banning ATVs on county properties and roads. The Vilas county board voted 15-4 last night to amend the county's land use plan to allow motorized trails on county land and roads. The vote is a victory for those seeking to overturn a 2004 referendum vote where a majority wanted no county ATV trails and a subsequent county board resolution banning ATV's on county properties and roads. Lac du Flambeau officials are wrapping up an environmental assessment of a proposed ATV/UTV trail. 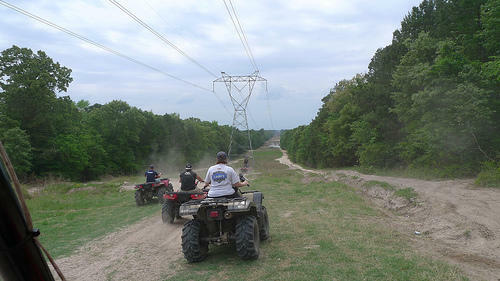 The Lakeland ATV Club wants to build a trail that would pass through the reservation. Lac du Flambeau spokesperson Brandon Thoms says the proposed trail would be about 23 miles long.